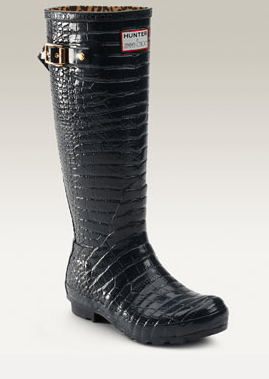 Wait a minute… are you telling me I can actually own a Jimmy Choo shoe AND a Hunter Rain Boot… in one purchase? How efficient!!! 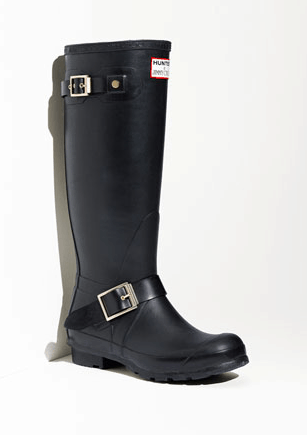 Looks like Jimmy Choo and Hunter Boots have teamed up and collaborated on a rain boot line. The image pictured above retails for $425 at Nordstrom. Here’s the one that no one can get anymore. This Jimmy Choo Hunter Rain Boot is the one that was shipped out to the celebrities and is currently unavailable for purchase. What do you think about the styles? Are these Hunter Wellies worth the price tag? They’re pretty cool, but so are regular Hunter boots. I’ll just stick to those. $425 Yikes! I do like the first pair BUT the price is crazy. I love the Hunter’s I have but the only thing that seems different is the lower buckle and Jimmy Cho name. Doesn’t seem worth another $300+ dollars!